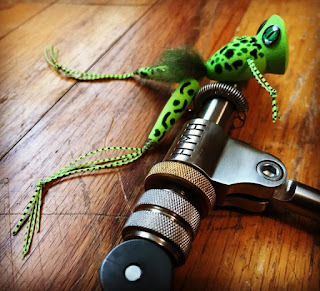 Our Friend from Indiana, Paul Beel aka FrankenFly, has come up with a great looking frog imitation that I want to share with you all. Paul is a fellow fly tyer/fly fisherman who has developed a number of trout and warm water flies and shares our passion for improving fly designs to overcome tough fishing situations and hatches. One of the primary reasons you might design a fly is to solve a particular problem. Many times, as a fly designer, there are various products that may give you an idea for a fly that you may not have thought of otherwise. Through the years I have tried many times to design a frog fly. 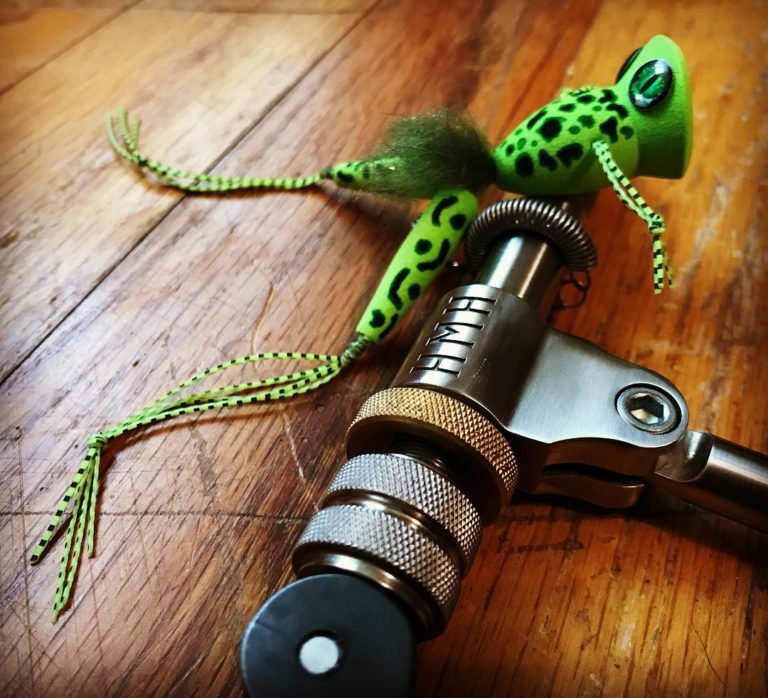 I was really trying to solve a problem which is to have a top water fly that resembled a frog, so bass would go crazy over it. I never was happy with what I designed for this type of fly or it didn’t swim or pop to my liking. Eventually I abandoned the thought of designing a frog and any time I wanted to fish this type of fly, I would just throw a larger popper. I'm late in replying to this Matt, but thank you for the post! I really appreciate it!